Did you think that corner-to-corner crochet was only for blankets? Not so! 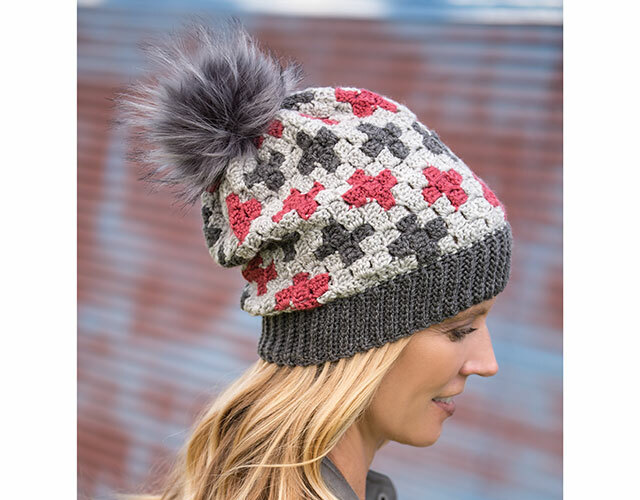 Join crochet expert Jennifer Pionk to learn all the ins and outs of this popular technique while you create two exclusive designs that will enhance your wardrobe. This class includes complete, step-by-step instructions and color charts for two exclusive projects, including the Scattered Pixels Cowl and the Swirling Pixels Slouch. Very detailed instruction. I love your video.